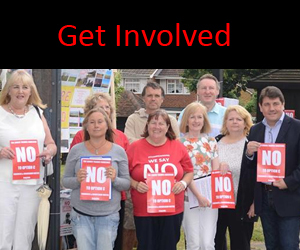 Many will be under the impression that the proposed Lower Thames Crossing is about solving the congestion issues we all suffer due to the Dartford Crossing. It has become more and more apparent the more research you do into the proposed route that this simply is NOT the case. 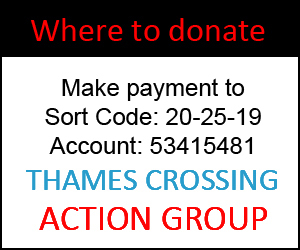 Councillor Tom Kelly – “In terms of the whole project we’ve had a very difficult month again with the Dartford Crossing and whilst the Dartford Crossing is separate to the new Lower Thames Crossing, I do think the two are connected, and really they should be a bypass to one another if the Dartford Crossing had a nightmare again, which it did this month. Residents and people using the M25 and this new crossing should have an alternative route to be able to get away from the congestion that they find themselves in, 3- 4 hours of traffic. 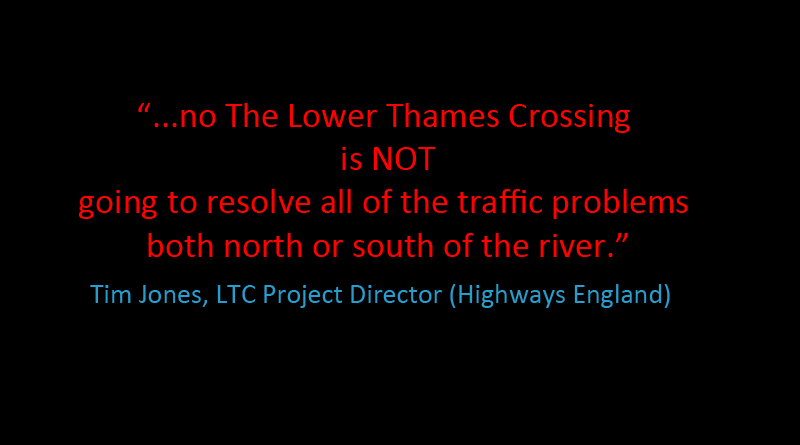 At the moment I am concerned by the Highways England numbers, the new Lower Thames Crossing is supposed to siphon off around about 15% of the existing traffic, that would leave roughly to my calculations and my research 130,000 vehicles each day that still don’t want to use the new Lower Thames Crossing, they want to get round the M 25 as they are now. The problem with that is I don’t think it solves the problems with the congestion at the moment. I think there’s lack of investment on the Kent side, I think if any of the traffic that manages to escape the congestion on the M25 and Dartford Crossing at the moment, it will go directly back on to the A2. The A2 is not currently designed to deal with 130,000 vehicles.